Paragliding Cusco provides unrivalled views of the Sacred Valley, and is undoubtedly one of the most exciting and adrenaline-filled experiences you can do in the region. But before you go ahead and book yourself onto a paragliding tour it is important that you understand some basics about Cusco paragliding adventures. At the end of the day, the most important thing is that you have a safe and enjoyable experience! In this paragliding Cusco article we have put together a list of the most frequently asked questions so that you can make an informed decision as to whether this experience is for you, as well as establish which company you should work with. Is paragliding in Cusco dangerous? Do I need to have any technical skills or training to Paraglide Cusco? Where do paragliding tours in Cusco fly and how long do they last? How much does it cost to Paraglide Cusco? I’m a little overweight, can I still go paragliding? I have a heart condition, am I allowed to paraglide? It really depends on your definition of danger. Paragliding in general, regardless of where or when it is conducted, is a relatively dangerous activity when compared to the multitude of other adventure experiences you could undertake. Risks to your safety are however significantly mitigated by the quality of company you book with, the quality of gear used, and most importantly the experience of the pilot. When choosing a company you should establish how long they have been running tours, how new and well maintained their equipment is, as well as get a brief history on your pilot’s experience. At a minimum your pilot should have a professional certification and commercial licence / membership from either (FAI or the APVL); and have 100s of hours of flight time under their belt. A significant portion of this time should have been conducted whilst piloting tandem flights. The Scared Valley is a mountainous area which makes the flight more technical than paragliding in Lima, for example. Make sure you only go with a reliable company and experienced pilot. No, all paragliding tours in Cusco and the Sacred Valley are tandem flights that should be operated by trained paragliders. You will be shown the basics of how to takeoff and land in a safe way, but once you airborne the pilot will be in full control. There are two main spots where most operators run their tours. The first and most popular is near Chinchero, which is about 30 minutes north of Cusco in the Sacred Valley. The other frequently used launch spot is near Pisac, about 45 minutes from Cusco. Both provide exquisite views of the Sacred Valley and have well profiled launch stations. Flights from these stations last between 15-30 minutes. Some operators offer special tours which fly from the Sacred Valley all the way to the ancient Incan ruins at Sacsayhuaman, near Cusco city. This option lasts about 45 minutes and provides more extensive views of the Sacred Valley and Cusco city. Costs vary from operator to operator but are generally based on a 2-person minimum booking, with each person paying between US$120-US$150. If you are a single person expect to pay a US$20-US$30 premium (hence, it’s worth joining up with a small group). You usually need to give your full name, passport number, nationality, date of birth, weight and height, as well as pay 50-60% deposit to make a reservation. Filmed using a GoPro Hero 3 at Dune De Pyla in France. It really depends on your definition of ‘a little overweight’. Most companies require participants to weigh under 100kg (220 pounds or 15.5 stone). We are not doctors so we recommend seeking medical advice and clearance if you want to paraglide Cusco and the Sacred Valley. That being said, most tour operators will not allow you to paraglide if you have a preexisting heart condition. We suggest giving this one a miss! Leave us a comment below and we will respond within 24hours (remember to check back). I am interested in paragliding (tandem jump) around Cusco. My children are 12, 14 and 17 years old, can they already do paragliding? When is the best moment of the day to do paragliding, in the morning or afternoon or evening? How long in advance do we have to book? And where can we book? Do you know the names of any companies that offer the 45 minute Sacsayhuaman paragliding experience? I am not able to find any. Will we need to be properly acclimatised in Cusco before we can participate in the paragliding experience? 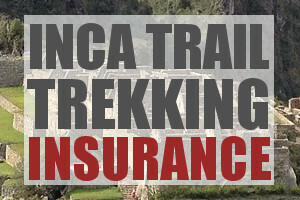 We plan on arriving in Cusco on October 4th in the morning and want to book the paragliding for October 5th. Would that be okay? Hi Lilian, I recommend acclimatising for 1 or 2 days before paragliding. Most paragliding tours are in the Sacred Valley, which is below Cuzco. I recommend going to Ollantaytambo after arriving in Cuzco, spend a day relaxing and then the following day you should be good to go for paragliding. Cheers! Hello, if Richard at cloudwalkerparagliding.com is unavailable, do you have any other recommendations of reputable paragliding operations in Cusco? Thanks! Thank you in advance for tall the info you provide here regarding paragliding.I will be in Cusco from the 28th of March to 1st April. Do I have to book in advance or it can be arranged after my arrival? Hi Yohannes, most operators will take bookings a day or two prior. It’s best to check with the paragliding operator to see if they require early booking. All the best! Dal 11 al 26 agosto farò il tour del Perù. Sarò a Cuzco il 20 di Agosto ed essendo un parapendista posso chiedere assistenza ed equipaggiamento per fare un volo sulla valle sacra? Peso 82 kg. No equpaggiamento. Vela classe A o B .
Hi Maurizio, we are not a paragliding company. We just provide free information for tourists. You can rent equipment in Cuzco and arrange your paragliding trip once you are in Peru. Hope this helps. Hi, do I need to make a reservation to go paragliding? I would like to book a tour, but I can’t find where to book my paraglide tour.. Hope you can give me some information! Thanks! Hi Lonneke, we are not a tour operator. Your best bet is to find a tour operator in Cuzco and book on the day. My partner and I are planning a trip to Peru come June. We would like to do paragliding (tandem) however a lil confused (thanks to the countless websites). May I know what’s the difference in views when it comes to flying above Miraflores, Pisac and Cusco? Which will you recommend? Hi Isabek, Miraflores is in Lima. The flight takes you off and over the cliffs at Miraflores and down to the beach below. 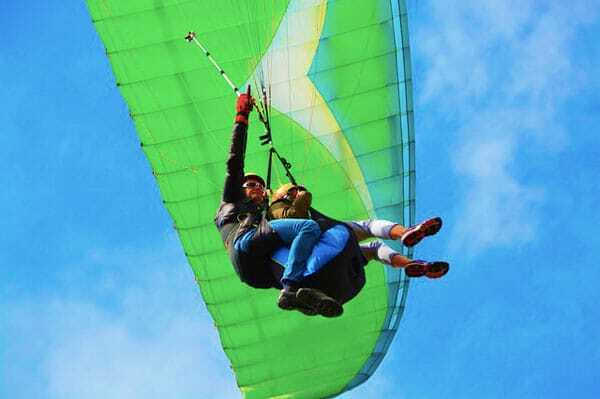 It is a coastal paragliding experience. The flights near Pisac and Cusco are in the mountains, in the Sacred Valley. I recommend the latter. Hope this help! Can you recommend any paragliding operators in the Sacred Valley. The link you suggested a few years ago, cloudwalkerparagliding.com appears to not be in existence anymore.Thanks! Hi Roberta, I don’t have any specific company recommendations, but once you get to Cusco you will see there are many operators who offer paragliding in the Sacred Valley. You can generally book on the day or a day before. Hope this helps! Is paragliding available this week? Possibly the 17th or 18th?